Tonight I had a few friends over and we all brought some finger type foods. 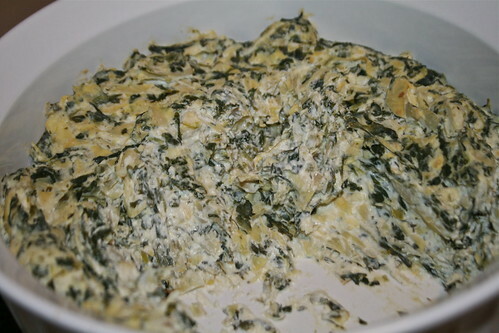 I had to make artichoke and spinach dip. I love it and none of my family will eat it. Mix ingredients together. Bake in a glass baking dish for 20-30 minutes at 325°.